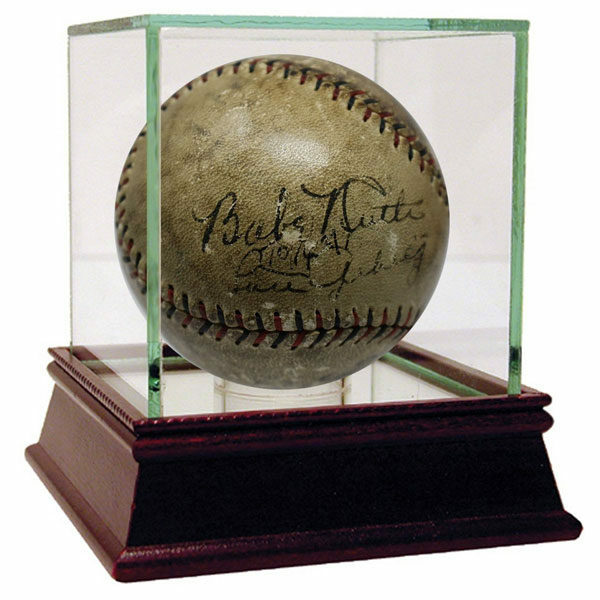 This official national league baseball has been hand signed by both Babe Ruth and Lou Gehrig. The heart of Murderers Row, this duo put the Yankees on the map. Ruth is considered the greatest player of all time who hit 714 home runs in his career. 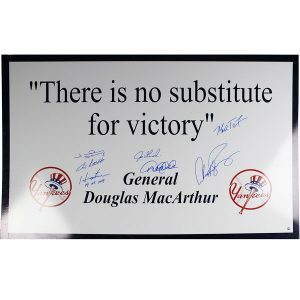 Ruth won 7 world series rings during his career in baseball. 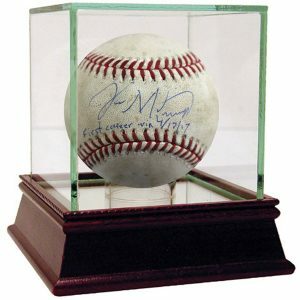 The Iron Horse is a two time MVP, seven time all-star, and six time World Series Champion. 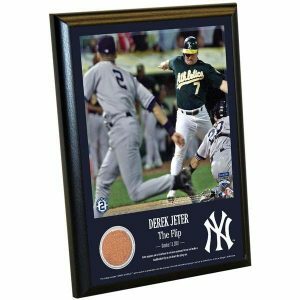 Gehrig is best known for is consecutive games played streak of 2,130 games. A record that went unbroken for 56 years until Cal Ripken, Jr. passed the monumental mark. This item is 100% authentic and includes letters of authentication from JSA, SGC, and PSA/DNA.